The southernmost of the Beaux Arts apartment houses that dominate this stretch of Central Park, 810 Fifth Avenue is also one of the most exclusive. Consisting of only 12 residences including a multi-story penthouse, the building was completed in 1926 to plans by J.E.R. Carpenter, one of the leading apartment house architects of the day; we’ll be seeing much more of his work as we progress north. 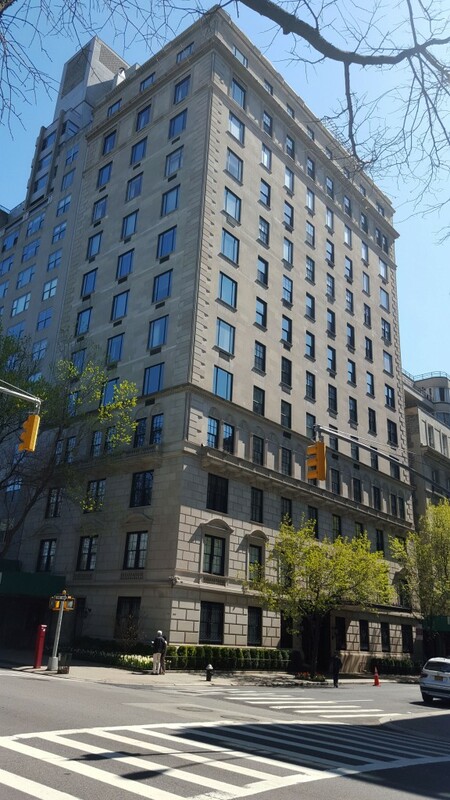 Replacing the mansion of Mrs. Hamilton Fish, 810 Fifth Avenue was once home to both Nelson Rockefeller and Richard Nixon, resulting in much awkwardness concerning the elevators during the 1968 Presidential campaign.